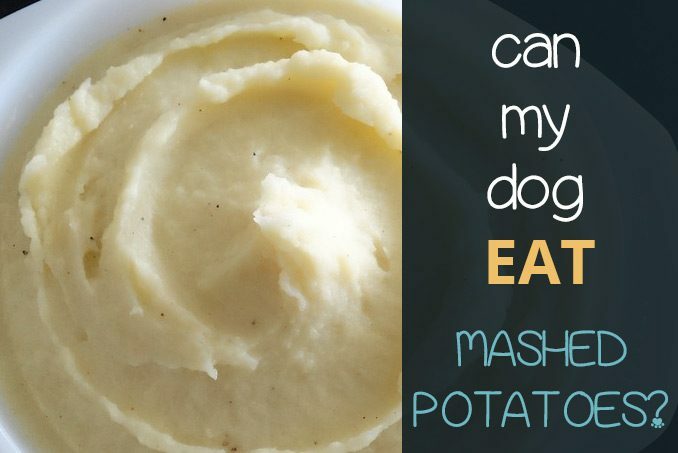 Can Dogs Eat Mashed Potatoes? Potatoes are a staple in many people’s diet, especially in Europe. Can potatoes be the main ingredient for a pet dog’s diet too? Whether your pup can gobble down mashed potatoes as part of their regular meal depends on a few factors. We have also covered some other vegetables here (carrots, sweetcorn, swede). So can dogs eat mashed potatoes? A well-balanced diet for dogs does not differ too much from a human’s well-balanced diet. The main difference is in the proportions. Both need carbohydrates, protein, vitamins, minerals and dietary fibre. The most important food group for dogs is protein. Protein should make up the majority of a dog’s nutritious diet, depending on breed and age of the dog. 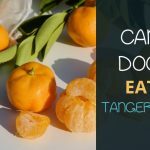 Don’t miss: Can dogs eat figs? The second-biggest food group in a well-balanced doggie diet is carbohydrates. Similar to humans, carbohydrates will give your pup the energy to run around and play. Carbohydrates are also generally an affordable filler for dog food. 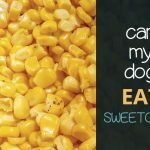 When you look at the ingredients for most kibble, you will find that corn and soy are common carbohydrates used as fillers in dog food. Recently, pet owners have become more aware of the nutritional quality of dog food. Many are looking for healthier, more nutritious alternative ingredients for their pooch’s meals. Potatoes are a carbohydrate that contains many vitamins and minerals such as potassium, iron and vitamins A and B. However, consider the following before adding mashed potatoes as the filler for your doggie meals. 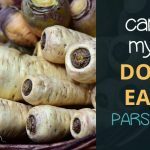 Feeding your dog carbohydrates that are very starchy as a major part of their meals is not advised. Starch-rich diets can have several effects on your dog’s health. The effect of starchy foods on dogs is similar to the effect it has on humans. Foods with a high glycemic index can cause energy spikes followed by a drop in energy levels. In general, dogs do not need such high energy food sources. Unless your four-legged companion is extremely active, regular consumption of starchy foods can lead to weight gain and even obesity. Especially senior dogs that are much less active than their puppy counterparts are at increased risk of becoming overweight. Many proud dog owners are unaware that their dog is actually overweight and dog obesity is a common health issue. Avoid these health issues by only feeding your dog starchy carbohydrates in careful moderation. Another potential effect of starch on a dog’s diet is gastrointestinal obstruction. This can occur for a number of reasons but eating too many potatoes is one of them. White potatoes are a nightshade vegetable. Nightshade vegetables are a group of plants scientifically named Solanaceae. Even for some humans, the consumption of this group of plants can lead to inflammatory responses. Although the effect on people is still a much-debated topic, it is known that the chemical solanine found on nightshade plants is toxic for dogs. On white potatoes, solanine is mostly found in its peel. Peeling and cooking a white potato will reduce the solanine to a level that is deemed safe for dogs to eat. Do not feed your dog any raw potatoes. Potatoes with green skin should also not be fed to dogs because these types of potato have the highest levels of solanine toxins. The best way to feed your dog white potato is peeled and boiled until soft. Yes, this means that white potatoes can be served is mashed potatoes. However, prepare the mashed potatoes without any dairy products as a dog’s digestive system can be sensitive to milk products. It is common for dogs to be lactose-intolerant. The vitamins and minerals found in sweet potatoes and white potatoes are quite similar. 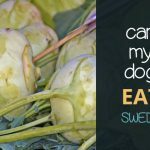 However, there are some nutritional aspects of sweet potatoes that make sweet potatoes a better alternative than white potatoes for your dog. Sweet potatoes do not belong to the nightshade family and thus are free of the toxin solanine. Still, sweet potatoes should also be cooked properly before your dog eats them. Sweet potatoes like white potatoes also contain starch. These starch compounds can be broken down through proper cooking to avoid stomach upsets in your pooch. The lack of solanine isn’t the only plus point for sweet potatoes. Sweet potatoes also have a lower glycemic index compared to white potatoes. Thus, sweet potatoes are a safer option if you are worried about your canine’s energy spikes. In addition, sweet potatoes have more fibre which is good for your barker’s digestion. Also, the presence of beta-carotene in sweet potatoes, hence the colour, is of added benefit to your dog’s health. In review, potatoes are safe for a dog to eat if cooked properly and served in moderation. 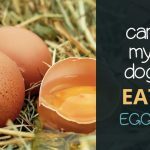 However, protein should still be the biggest source of nutrition for your canine companion. If you would like to add potatoes to your dog’s diet, opt for sweet potatoes to avoid reactions to the toxin solanine. A sweet potato mash can be a delicious addition to your pups regular meal. Boil the potatoes until soft without any added salt. Also, don’t add in any butter or milk as you would for your own mashed potatoes because dogs are more sensitive to lactose. When introducing potatoes to your dog’s diet, do so in gradual steps. 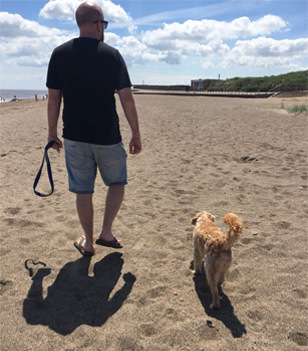 Sudden changes in a dog’s diet can cause symptoms of an upset stomach such as gassiness, changes in stool or even diarrhoea and vomiting. 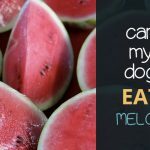 Dogs can also have allergies for certain foods. When starting to feed your dog potatoes, add in only a spoonful to their regular meal and increase gradually. This allows your dog’s stomach to get used to the new food. When changing a dog’s diet, always monitor their reaction to the food and its impact on digestion.